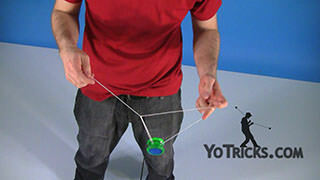 Learn the basics of Yoyo Grinds, including detailed instructions on Finger Grinds. 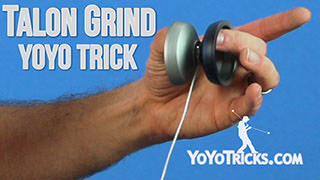 Grind Introduction – Finger Grinds Yoyo TrickThis video is an introduction to grinds and I am going to teach you one grind in particular which is the Finger Grind which looks like this. 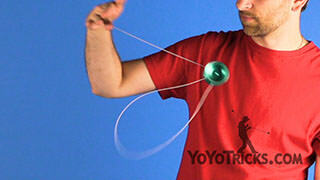 Grind where you catch it between your thumb and your middle finger right on the outer edge of the yoyo. So that looks like this and again there are all kinds of variations that you can do with that. You can also do some off-axis grinds. This one is pretty popular lately. 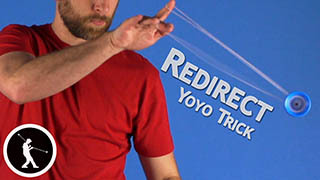 Just catch it in your palm and you do a bind like that. You can also do an off-axis Finger Grind which just looks like this, you catch it and that will eventually rotate around and sets you up for a bind. 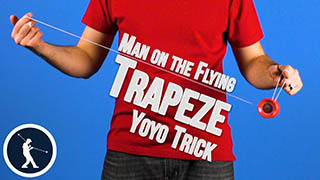 Grinds are very dynamic and they are pretty impressive so they are good tricks to learn. 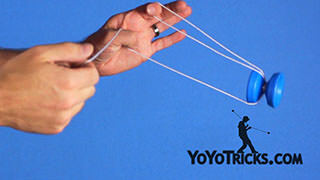 You want to make sure when you practice these that you have a completely unresponsive yoyo. 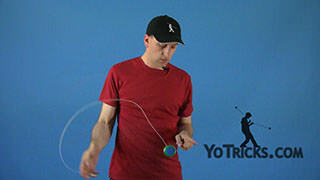 The reason for that is if your yoyo is even a little bit responsive when you catch a yoyo in a grind there is going to be some slack in the string and the yoyo is going to want to eat that slack up right away and come back. 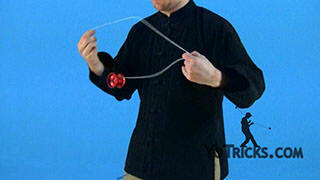 Not only is this really frustrating it can also be pretty dangerous if you are using a metal yoyo. 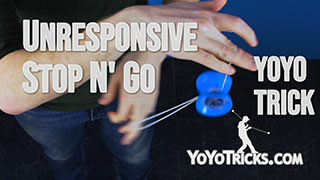 So make sure you have found a yoyo that is completely unresponsive that you can practice with that will help you out a lot. 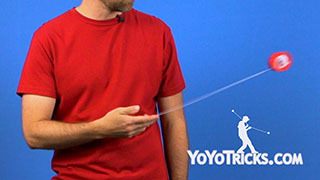 When you start working on your Finger Grind, most likely the first thing that is going to happen is your yoyo is just going to shoot right up your arm. That is because when you throw your Breakaway the yoyo is going to be spinning backwards towards you, and that’s going to be what it wants to do. When it touches your finger it’s going to want to shoot off that direction. 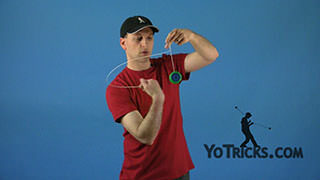 The way that you counteract this is your going to want to angle your finger down a little bit and that will help keep the yoyo in place. 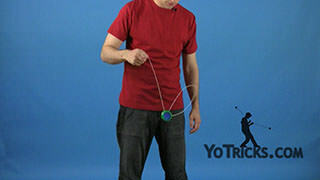 Of course, if you angle it down too much the yoyo is going to fall off so your going to have to find just the right balance so that the yoyo is not going to want to shoot back or fall off and that can take a little while to get used to. 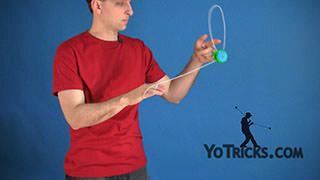 The second thing that will probably happen is while you are doing your grind, the yoyo is going to start to lean which of course will kill the spin it will make it fall off. It’s going to be a major problem. The reason for this is you need make sure your finger is straight in the line of the grove just like this. 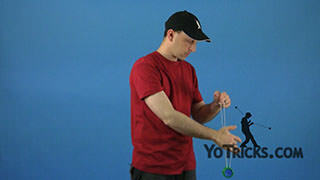 If you start to turn, the yoyo is going to fall off either side, the same thing if you rotate your hand like this it’s going to make the yoyo fall off its angle. 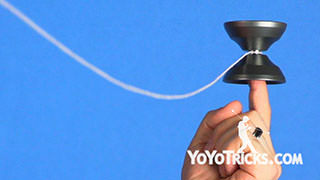 The nice thing is you can actually use that to correct the yoyo a little bit too. So once you get used to those corrections it’s actually going to be an asset as your working on the trick. 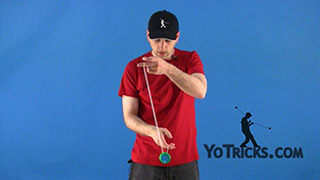 Once you get those things down and you’ve got used to landing the yoyo correctly, another thing that will help extend your grind is if you try to keep right on the edge of your finger. 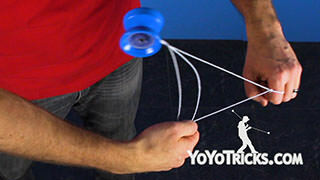 What you will find is that on most people the knuckle up here is the widest part of your finger and is also a little bit more fleshy, and so if you catch the yoyo it grinds all the way up and it starts touching that part of your skin it’s going to kill that spin a lot faster. It’s going to take a little bit of discipline but if you can get used to just catching it on the edge of your finger then that is going to basically double the length of your grinds, so it’s worth the effort. 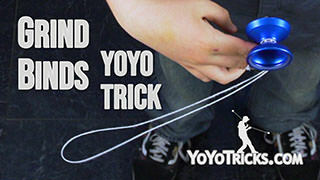 Now once you got your grinds down, then you can actually start working on a trick. 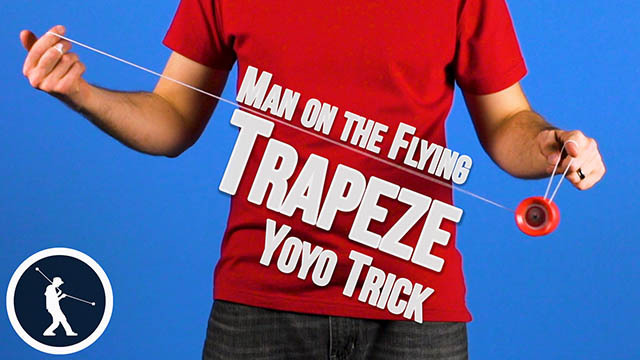 So the first trick that most people learn, probably because it is in the trick ladder, just looks like this you are going to get it on the Trapeze, hop it off and you are going to hook the string right here with your first finger so that it is just hanging there. Then you are going to swing over, catch it in a grind and then get it right back onto the string. You can see now that I have extended my first finger and that gets me right back into a Trapeze. So when you do this one thing that will help you be more successful is if you actually extend your first finger and your middle finger at the same time. 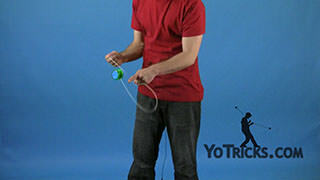 That way when you are done with your grind the yoyo can just slide right back down onto the string just like that and that makes it easier. One thing I like to do to make it look a little bit more impressive is try to hop the yoyo up and catch it on the string. That makes it a little bit more challenging but it’s kind of fun. Once you get down this grind you’ll have actually learn a lot of the principles that apply to just about any grind so the Finger Grind is a good place to start and you can work on that trick. 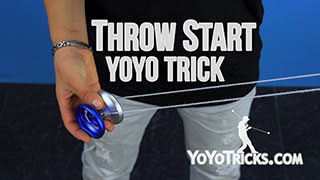 Another thing is if you are working on it with this trick it will give you a little bit more control because you can control where the yoyo is while you do the grind, which might make it easier than just tossing up and getting into it. Another thing that will help while you are working on your grinds is make sure your hands are clean and dry if your hands are clean and dry then your grinds are going to last a lot longer. 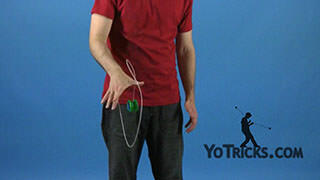 If you have a yoyo that is not great for grinds then what you can do is you can wear Cotton Glove or something like that and that will extend your grind time while you are still learning those anyway. Like I said this is a really great place to start and grinds are very dynamic and they are a lot of fun. 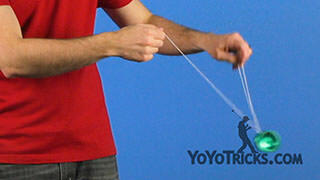 Just master the Finger Grind and you will be able to extend your skills from there.